A quality boxing medal crafted in sturdy base metal with an antique gold finish and faceted edges. 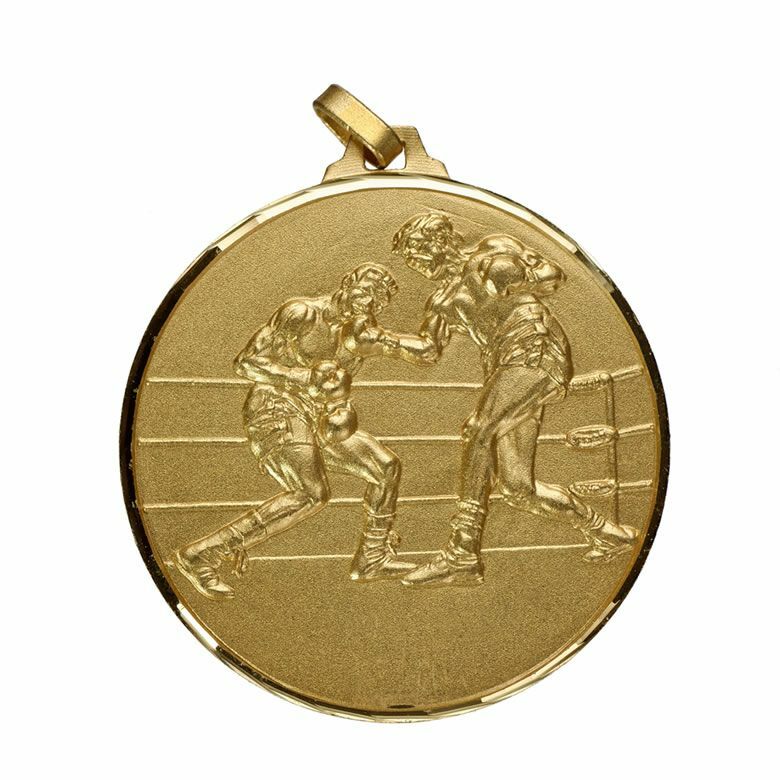 These 52mm diameter boxing medals include a ribbon loop (ribbons sold separately) and are offered with an optional rosewood hinged presentation box. They are offered here with low cost engraving on the reverse of the medal.